just out of the oven. I often cook these kinds of tarts, easy to do and always appreciated. 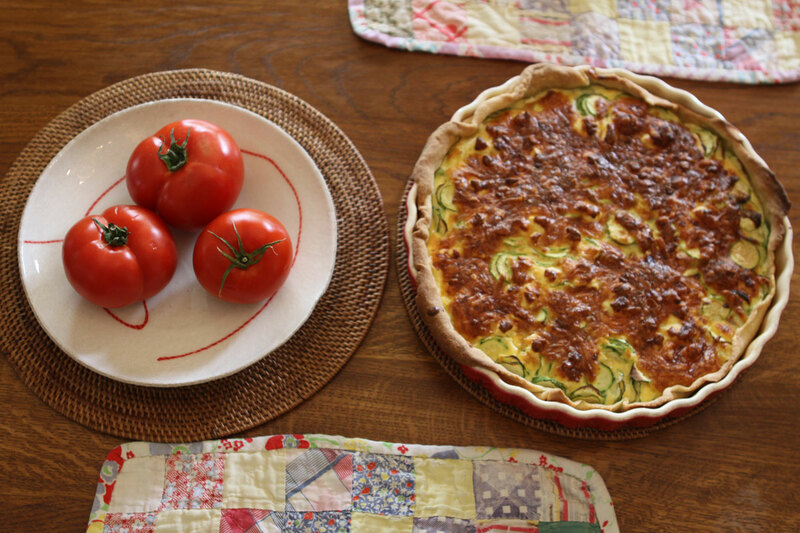 I put zucchinis, feta cheese, emmenthal, fresh cream and two eggs. Then half an hour in the very warm stove. It is very good served with a tomato salad, or a green salad. 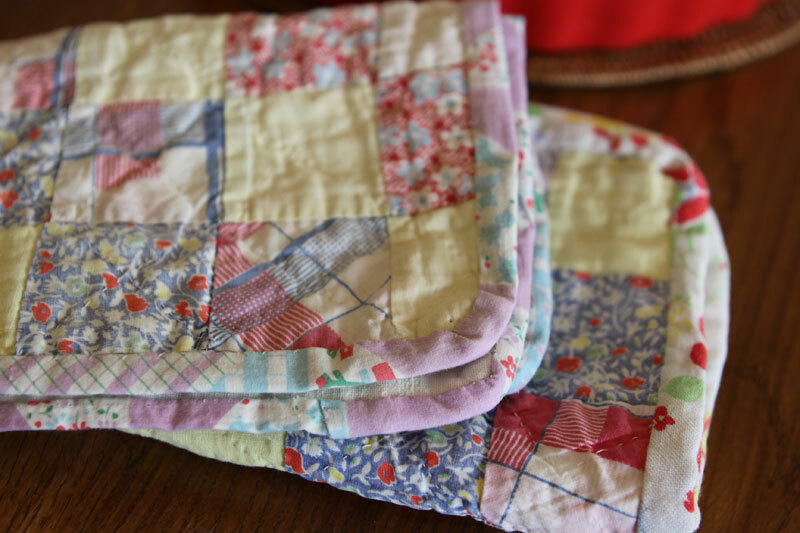 how lovely these doll quilts are! Thank you very much for your comment on my blog. I wanted to answer you, but you are a no-reply-blogger. What sweet mats! SCORE!! And your pie looks yummy!! 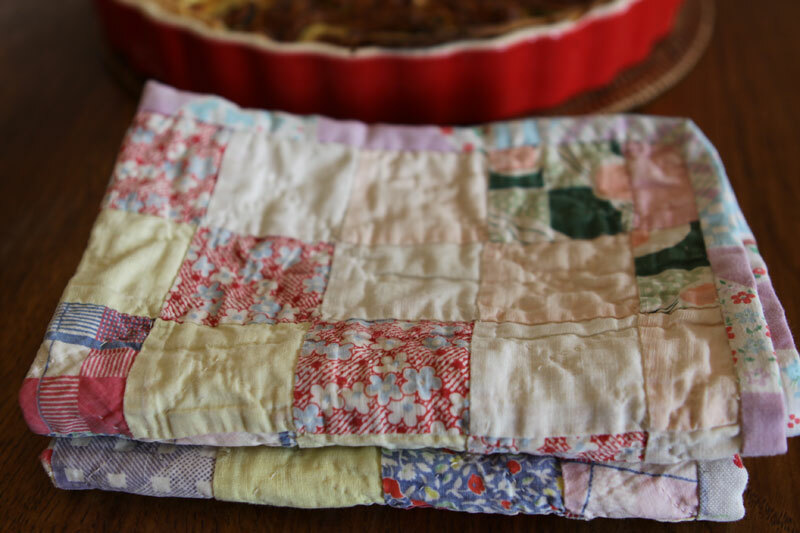 I love the fabrics and the colours in these antique doll quilts. 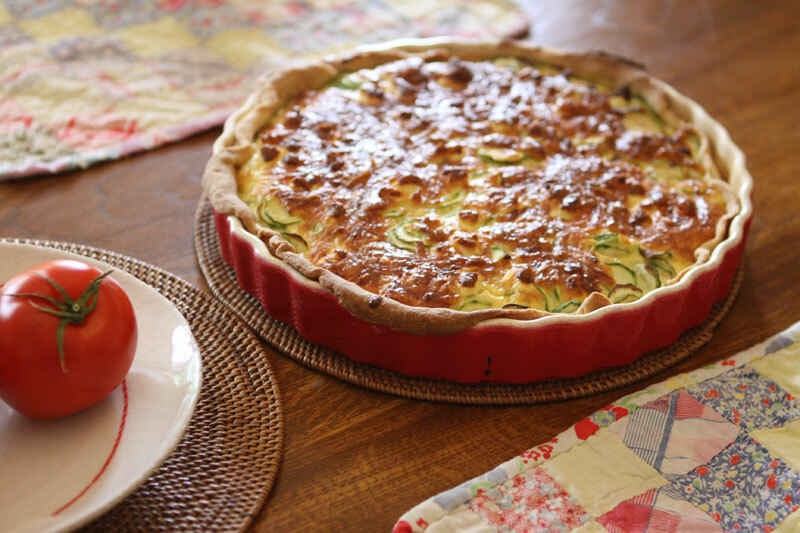 Your pie looks delicious, coul you please share your recipe? Oh I'm going to have to try that tart recipe, it looks wonderful! I grow most of that in my garden so I have no excuse. 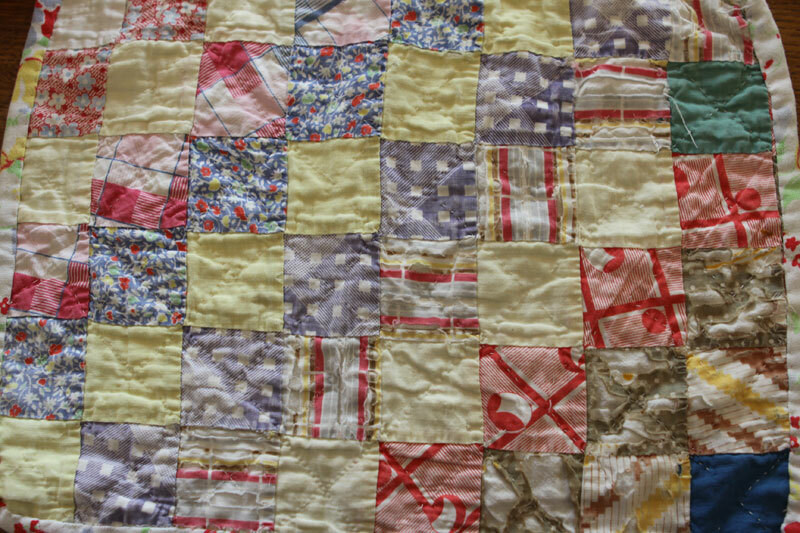 The small quilts are lovely too. I like that you use them and enjoy them rather than keeping them tucked away. Good for you! Lovely doll quilts! 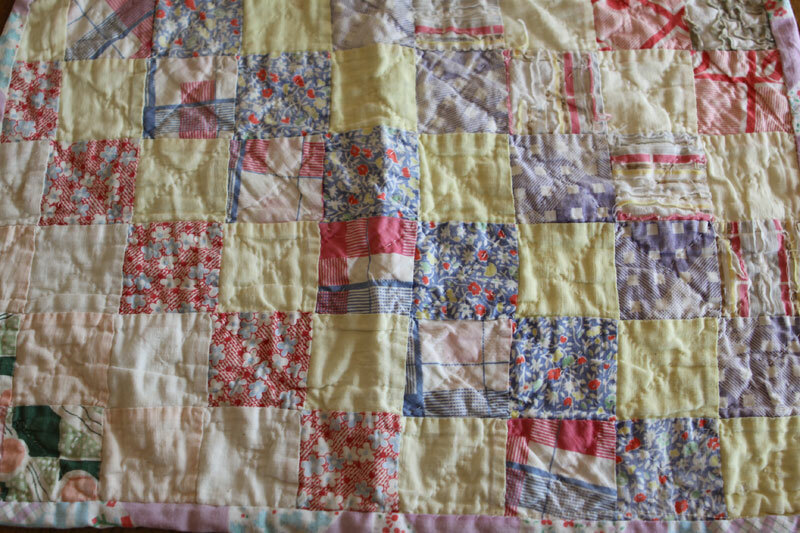 I have a few vintage doll quilts as well. Your tart looks delicious! Oh Yum!! Your tart looks do delicious! 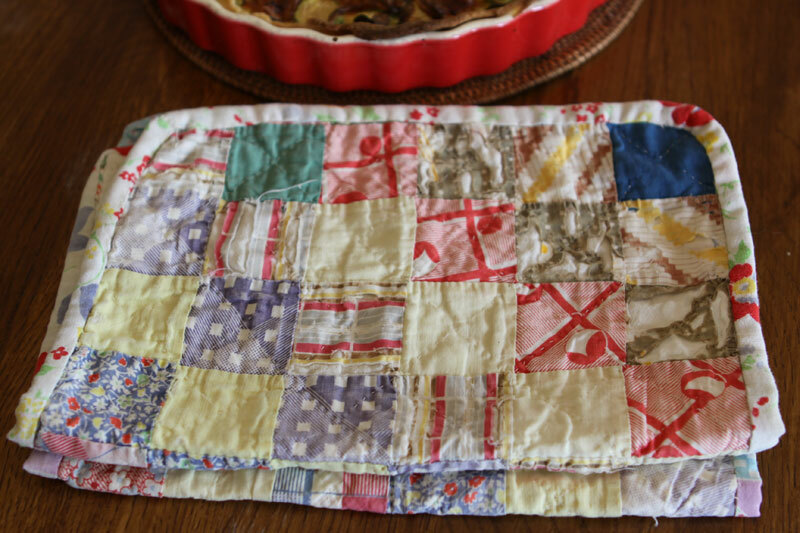 I love your little 'doll quilt' table mats! They do look small even for doll quilts. Je pense que desormais je ne peux qu'esperer finir des quilts de cette taille...quant a la tarte, bien appetissante !! 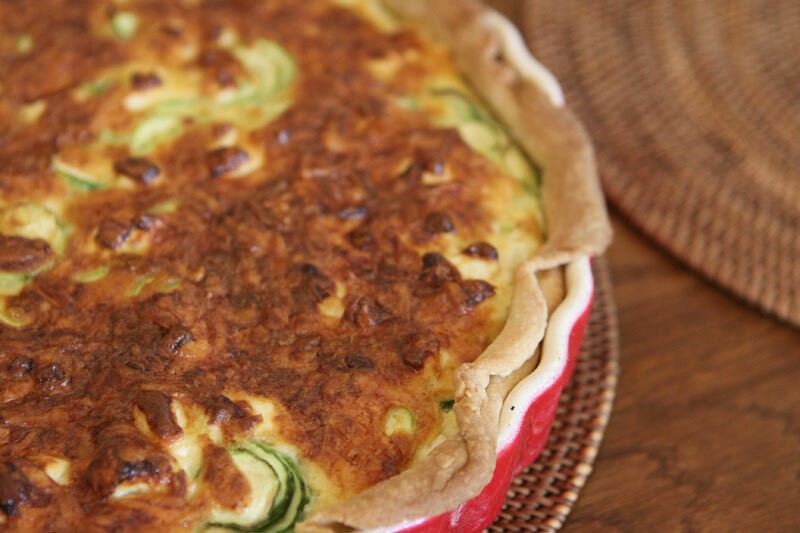 Your quiche looks amazing. I'll be reading if you get the notion to post your recipe!